Update: Maduro - now backed by Russian military contractors, has urged his supporters to take to the streets to defend the legitimacy of his government. The Venezuelan leader has vowed that his country won't turn into a "Syria or Libya" situation, and that the Venezuelan military must prepare for an invasion. According to Reuters, Maduro says he's willing to travel to New York to discuss the situation with the UN Security Council. As the international community splits along governments who continue to back embattled Venezuelan ruler Nicolas Maduro and governments, led by the US, who have officially recognized opposition leader Juan Guaido as the country's legitimate head of state, Reuters reported that a group of Russian mercenaries with ties to the Kremlin have been sent to Venezuela to provide security for Maduro as he struggles with the biggest threat to his rule in his six years in power. The contractors are believed to be from the Wagner Group, a group of private contractors who have performed secret missions on behalf of the government, including fighting in Syria and the Ukraine (which brings to mind this incident from last February when US-backed forces killed 100 Russian mercenaries in what was the closest thing to a direct proxy conflict between Russia and the US in Syria). It's unclear when the contractors arrived, or when they intend to leave. Russia has offered to mediate the conflict between Maduro and Guaido, while joining with China to criticize the US for interfering in Venezuelan affairs. 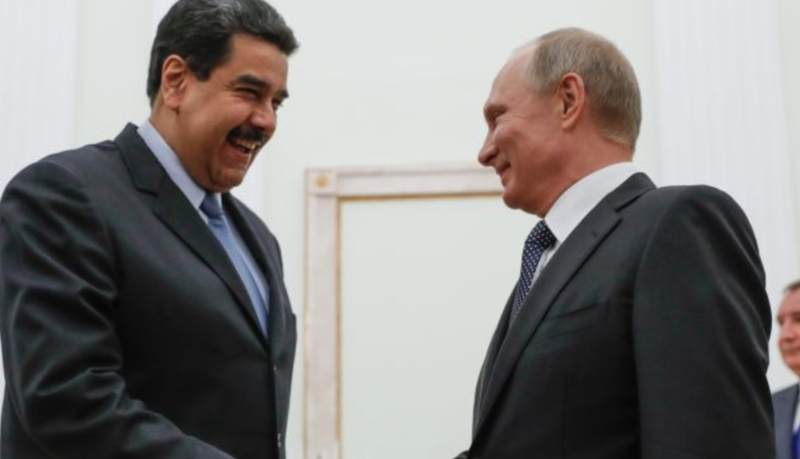 Russia, which has invested billions of dollars in the Maduro regime, pledged to stand by the embattled socialist leader this week. Yevgeny Shabayev, leader of a local chapter of a paramilitary group told Reuters he had heard the number of security contractors in Venezuela is roughly 400. Russia's defense ministry and Venezuela's information ministry haven't responded to requests for comment. Kremlin Spokesman Dmitry Peskov said we have "no such information" when asked about the contractors. The contractors traveled to Venezuela on private chartered flights that first landed in Cuba. The contractors have been charged with stopping opposition sympathizers or members of Maduro's own forces from detaining him. "Our people are there directly for his protection," Shabayev said, in light of the attempted revolt staged by rogue military officers earlier this week. One source said a group of contractors had arrived in Venezuela before elections last year where Maduro won a second six year term, but another group had arrived "more recently." Public flight tracking data suggests the latest batch of contractors arrived some time betwee mid-December and this past week. Asked if the deployment was linked to protecting Maduro, the source said: "It's directly connected." The contractors flew to Venezuela not from Moscow but from third countries where they were conducting missions, he added. The third source, who is close to the private military contractors, said there was a contingent in Venezuela but he could not provide further details. "They did not arrive in a big crowd," he said. Publicly-available flight-tracking data has shown a number of Russian government aircraft landing in or near Venezuela over past weeks, though there was no evidence the flights were connected to military contractors. A Russian Ilyushin-96 flew into Havana late on Wednesday after starting its journey in Moscow and flying via Senegal and Paraguay, the data showed. 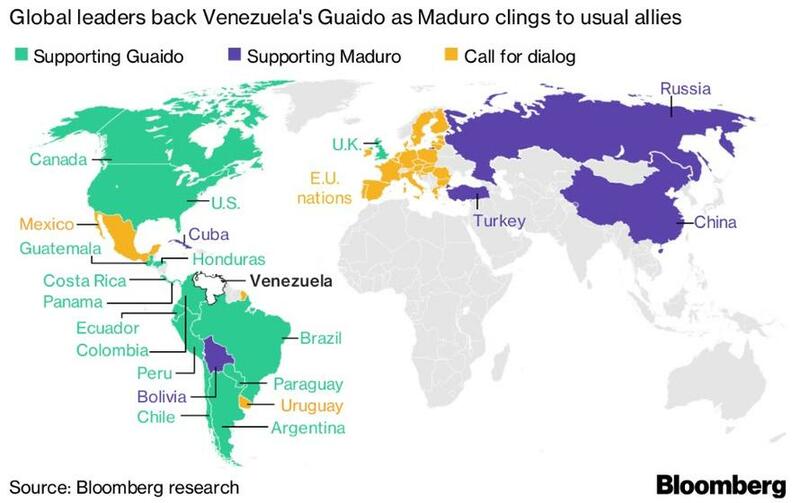 Since Guaido declared himself the acting president, Maduro has sought to expel US diplomats while vowing not to step aside. He has threatened violence against those who back the opposition. Maduro still retains control of the levers of power, including the country's energy industry and its military, though while military commanders have largely backed him, the allegiance of the troops on the ground remains somewhat less clear. Maduro has accused the US of agitating for the Venezuelan opposition to move against him.